My wife and I spent the first night of our recent road trip at a Courtyard hotel in Athens, Georgia. We walked downtown to eat Indian food and had drinks on the roof of the Georgia Theatre. Our room was clean, the pool area was nice and the hotel had a bar. Our cost: $0. After a couple days exploring Greenville, South Carolina and waterfalls in North Carolina, we arrived in Savannah, Georgia for our last night. We had a suite at the Andaz downtown, across the street from the waterfront. We were handed free glasses of wine at check-in, and the room was stocked with free snacks, juice and soda. From our balcony we watched kids playing in the fountains in the plaza below, as horse taxis passed in the street. The living room had a huge television and the bedroom a smaller one. The bathroom had a deep tub, separate shower and two sinks. Robes and slippers were provided, and there was an outdoor pool on the second floor. Our cost: $0. Want to get deals like these? Then it’s time to learn how to find the best travel credit cards and how to get the most from them. My new Marriott Rewards Visa came with a free night at one of a dozen hotel brands owned by Marriot — up to category four. That’s what I used for the Courtyard by Marriott in Athens. The promotion also offers 50,000 bonus points if you spend $1,000 on the card within three months. I paid our home insurance and a few bills to meet that requirement. We can get up to seven more free nights with our points, but we’ll get about three nights at category three hotels — the level we typically choose (15,000 points each). To avoid the fee for the Marriott Rewards card, I might just use up the points and cancel the card. However, you do get an “Anniversary Free Night” every year when you pay the fee. Since we normally stay in hotels that cost around $85 per night even when we pay, it might make sense to keep the card. Consider the Hyatt Credit Card, which is what we used for our stay at the Andaz in Savannah (a brand owned by Hyatt). Spend $1,000 on the card within three months and you get two free nights at any Hyatt in any category, anywhere in the world. That’s a great start, but you’ll have a $75 annual fee after the first year. Every year, you get a free night at a category one to four hotel. We used a free anniversary night to stay at the Hyatt Regency in Lake Tahoe, and it was one of the nicest places we’ve ever stayed (sadly upgraded to a category five now). At the time, the best price online was $239 per night, so the $75 annual fee on the card was worth paying. And we got the second night with our points. Some of the best travel credit cards have no annual fee and offer 1.5 points per dollar spent — the equivalent of 1.5 cents in the form of travel credits. Spend $10,000 annually on a card like that, and you’ll save about $150 (in rebates toward your balance). But there are hefty bonuses too. I recently finished putting $1,000 on my VentureOne Rewards Card, which got me a $200 credit toward flights, hotels, or other travel expenses. What happens to your credit score when you open and close credit card accounts to get travel bonuses? BankRate says it’s never hurt by having too much credit. But canceling cards can hurt your rating a little, especially when you close old accounts. On the other hand, my score went up when I started opening and closing accounts regularly. I believe it’s because all the new credit lines I’ve opened lowered my credit utilization ratio, which overcame any effect of closing accounts. I explained this trick for raising your credit score in a previous post. It may help to learn how to cancel credit cards without damaging your credit score. For example, you might want to put a couple months between new account applications (probably necessary anyhow, to meet spending requirements on each card). That can reduce the likelihood of any ding to your score from frequent credit inquiries. In addition to bonuses, you also accumulate points as you use your travel cards, but not always at the same ratio. For example, the Hyatt Credit Card gives you a point for every dollar of normal purchases, but three points per dollar spent at Hyatt properties. The Marriott Rewards Visa offers five points per dollar spent at their properties. Clearly, it makes sense to use the hotel card if you get a meal or drinks at the hotel. 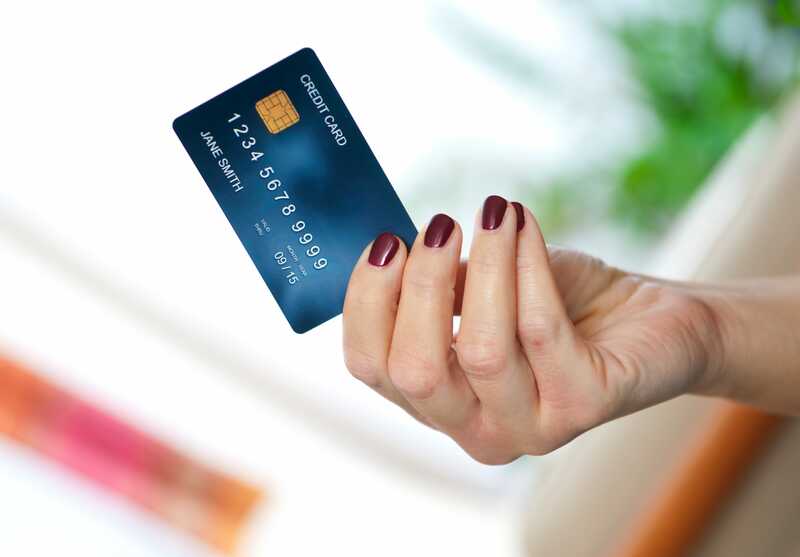 Some issuers offer other reasons to use their cards. For example, the VentureOne Rewards Card says you’ll get “complimentary upgrades and special savings at hotels, resorts and spas,” so you might want to book a hotel room using that card. Many travel cards offer extra lost luggage protection if you book the flight with that card. Read the benefits guide that comes with your cards and take a few notes as to which card is best for each purpose. Finally, if you have no other compelling reason to use one card over another, see which one offers the most points for your particular travel purchases. For example, some offer double or triple points when you use them to pay for car rentals, flights or hotels. On the same trip, I might use my Hyatt card while at the Hyatt to get triple points, a second card for restaurants and my American Express business card for fill-ups, because I get triple points for gasoline purchases. You points or miles have different values in different circumstances. For example, it will cost you 25,000 miles from your Delta SkyMiles Credit Card to pay for a $99 flight. But if the flight costs more than $200, you can use just 10,000 miles to get $100 off the price. So you wouldn’t want to use your miles for short cheap flights if you’ll ever be taking more expensive flights. Also, if you travel often, you might want to pay cash for hotel rooms in inexpensive cities rather than using points, so you can save your free hotel nights for otherwise expensive stays. And by the way, a category four Marriott or Hyatt might cost twice as much in one place as another. The categories do not have a direct relation to the normal room rates. We complained about garbage near the hot tub at the Hyatt in Coral Gables, Florida, and the desk clerk apologized and put 6,000 points on our card — almost enough for another free night. So if there’s something wrong, speak up! Here are a few more tips for getting the most from your travel cards. You may have various redemption options, and you need to carefully weigh each one. For example, the Chase Sapphire Preferred card would give you $400 cash back for 40,000 points, but if you book through Chase Ultimate Rewards, you can get a $500 credit toward a plane ticket with those same points. If you have more than one way to redeem your points, look at the cash cost of each option. For example, the Starwood Preferred Guest card from American Express lets you redeem for airline flights or hotel rooms. If you need a flight and a place to stay and you have enough points for one or the other, check the current cash prices to see which one costs more, and use the points for that. The value of redemption options also depends on what things are worth to you, and what your plans are. For example, you can redeem 30,000 Marriott Rewards points for two nights at a category three hotel or for a $100 gift card from various retailers. If you shop at one of them regularly, that card is the same as cash. So if you have no plans to travel to places with Marriott hotels, or you normally stay at $29 hotels (yikes), then that gift card might be the better option. If you plan to use your bonuses and points and then cancel the card, you need to track them carefully to get maximum value. You wouldn’t want to cancel and lose 7,000 points when you could have paid a few bills with the card to reach the 7,500 points needed for another free hotel night before canceling. Is Collecting Points Worth the Trouble? Yes, I spend some time applying for credit cards and tracking expenditures and points. But not too much time. I made more than $1,000 last year chasing credit card bonuses. And by the way, credit card bonuses are not taxable as income if you need to meet spending requirements to get them. This year, I’ll take in cash and equivalents of at least $1,500. From travel cards alone, I received more than $600 in cash and free hotel rooms by June. So, yes, for me, it’s worth taking a little time to find and use good travel credit cards. Want to learn more about the best travel credit cards? Join the Travel Hacking Cartel, a community of expert travel hackers. Advertiser Disclosure: Many of the credit card offers that appear on this site are from credit card companies from which The Penny Hoarder receives compensation. This compensation may impact how and where products appear on this site (including, for example, the order in which they appear). We do not feature all available credit card offers or all credit card issuers.